The purchase of a home is the largest financial decision most people make during their lifetime. 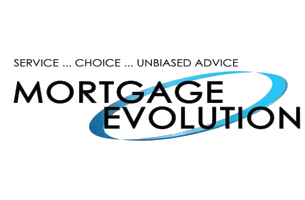 The Mortgage Professionals want to make every purchaser aware of the many residential mortgage options available to them prior to their purchase and closing date. We work with you every step of the way through the entire process of obtaining your new mortgage to ensure that you are informed and comfortable with your home financing decisions. Financial institutions are regularly launching new products and programs, making it easier to get into that new home sooner. Today, interest-only loans, self-employment programs, rental purchase programs, vacation property programs, and a host of other innovative financing alternatives are dotting the home purchase landscape, making homeownership a reality for more people than ever. Whether you are first-time homebuyer, experienced investor or new to Canada, The Mortgage Professionals have access to the very best residential mortgage products and rates available to all types of income and credit history. If you’ve found the home of your dreams or are planning to buy an investment property, let us do all the work for you. We will locate your optimal mortgage from our vast network of over 50 banks and credit unions to provide you with the best mortgage product for you and negotiate the lowest rate. Haggle free!